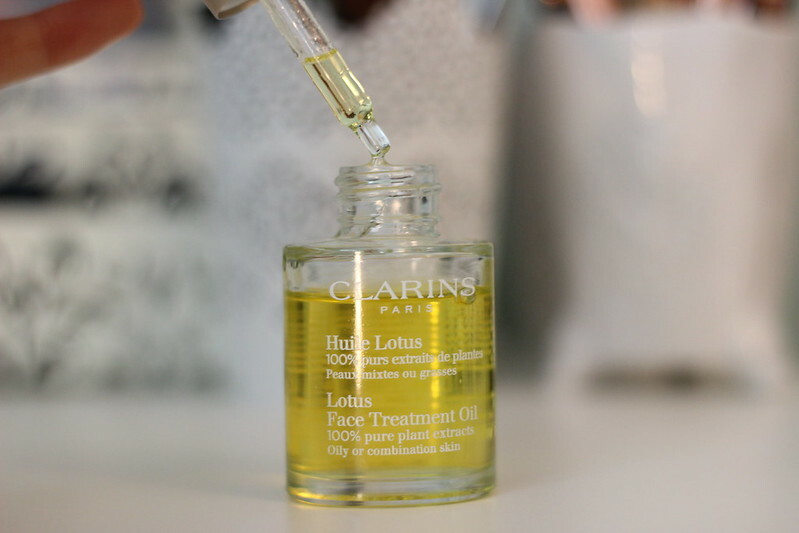 The Clarins Lotus Face Treatment: A New Holy Grail Face Oil? As some of you may know, I have relatively oily skin. I'd describe it as oily/ combination on most days but during the summer it's definitely more on the oily side and during the colder months it's been known to be a little dry. Essentially my skin is pretty much everything on any given day so I really do struggle with knowing what products to use to ensure it's getting everything it needs. Since the cold weather set in the skin around my nose decided to turn dry with a few pimples. Nothing really noticeable but there was definitely some red pigmentation that I'd not had before so I knew there was something up. I started off by using some coconut oil on the problem areas which seemed to soften the skin if nothing else. I then decided to turn to trusty Google and search for "top face oils" to see if there was something I could use that wouldn't disrupt the balance of my already oily t-zone. 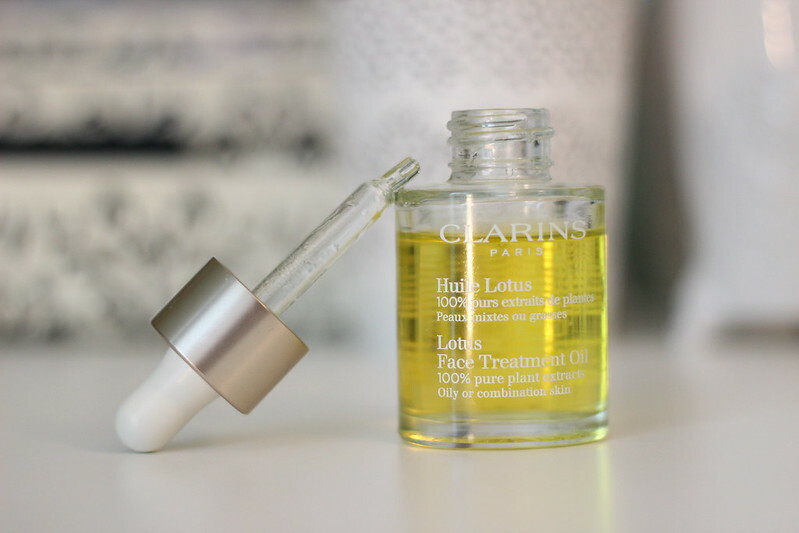 One oil really stood out for me on all review sites and that was the Clarins Lotus Face Treatment oil. 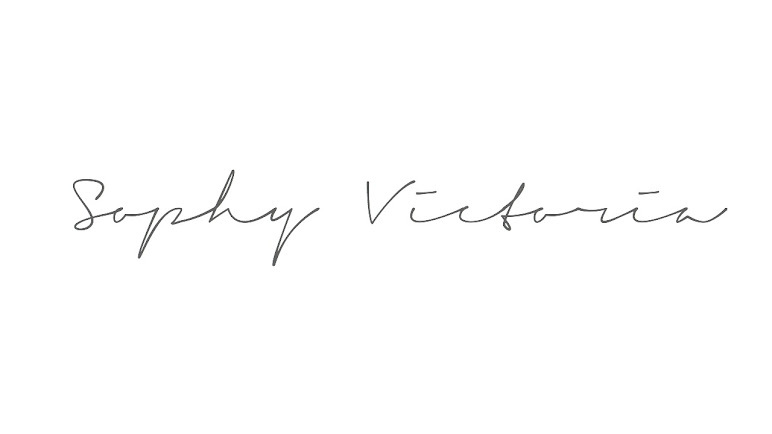 It's been created for oily combination skin so I knew I was in safe hands. I can't deny it felt weird buying an oil for my oily skin but the reviews were fantastic so I decided to take the £32 plunge! I've been using it for a month now and I've been really loving it. Not only because it smells divine (think spa treatment meets massage oil) but also because it's worked wonders for my skin. It's definitely reduced that horrible bumpiness that dry skin creates and it's helped with that redness around my nose. It also hydrates and leaves my skin feeling soft and plump. I use 4 drops at night instead of my usual moisturiser, after using my cleanser and toner and before applying my eye cream. By morning my skin looks bright and refreshed! Have any of you tried an oil treatment for your skin and if so how did you find it?